The rotary dryer is a rotating cylinder which inclines slightly with the horizontal line. The raw material access into the chamber from the higher end, heating medium enters into from the low end, to countercurrent contact the raw material. 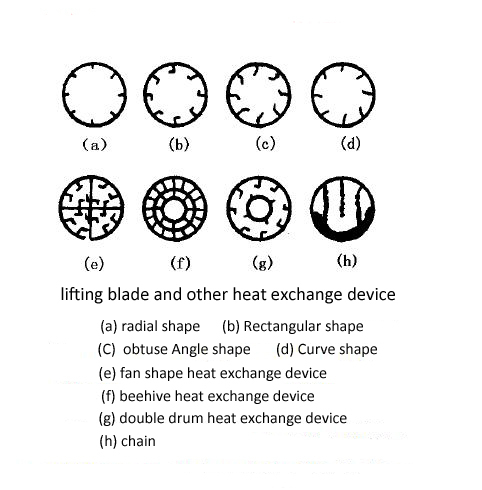 Sometimes the heating medium and the raw material together cocurrent flow into the cylinder. As the drum rotates, the raw material, under the action of gravity, goes to the lower end. In the process of moving in the drum，the wet material to be hot by the heating medium directly or indirectly, by which the raw material dry. At the discharging end, the dry material takes out by the conveyor belt or screw conveyer. Inner drum there is equipped with lifting plate, the function of which is lifting the material and spreading down, make the contact surface of the material and hot airflow become big to enhance the dry efficiency and accelerate the material go forward. Generally the heating medium could be hot air flue gases, etc. After the heating medium pass through the drum dryer, there usually need to collect the dust in the air by the cyclone dust collector. If there need to be further reduce the dust in the tail gas,which should go through the bag filter or the wet dust collector, then to be discharged. 2. 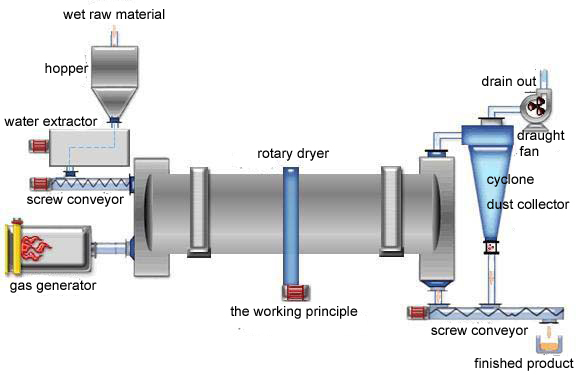 Applied range of rotary dryer. 2.1. 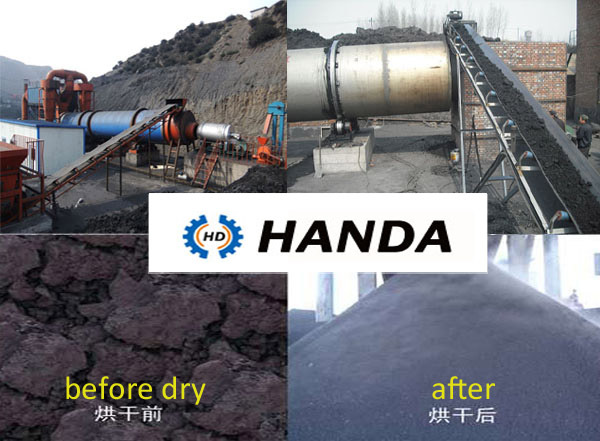 Applied in the chemical industry and mining industry, could dry ores, slag, coal, coal slime, metal power, clay, diatomite and kaolin, etc. 2.2. Applied the agriculture, feedstuff and fertilizer industry, could dry straw, pasture, sawdust, leaf, fish meal, corn, rice, wheat, corn sauce, starch residue, distillers' grains, dregs of decoction, fruit residue, soy sauce residure, bagasse, grass carbon, organic mixed fertilizer, sludge, aquatic product residue, foodstuff factory residue, slaughterhouses residue, organic manure, inorganic fertilizer, etc. 2.3. 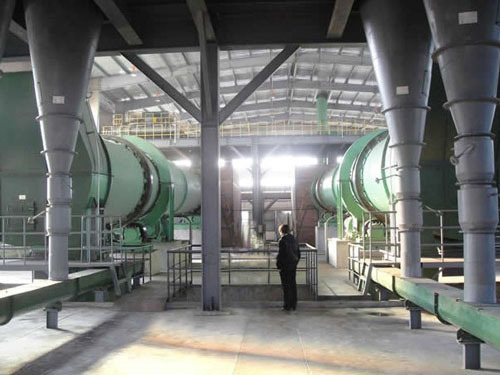 Rotary dryer could dry the powdery and granular material having the special requirements such as various kinds of crystal, light calcium carbonate, Activated Clay, magnetic powder, graphite, Inorganic mud, argil, lime slurry, mineral slurry, Phosphate slag, Aluminum plant red mud.